John Grieve, team leader, answers frequently asked questions. Q: Does all your funding come from charitable donations? A: No, we receive £7500 per annum from the police. 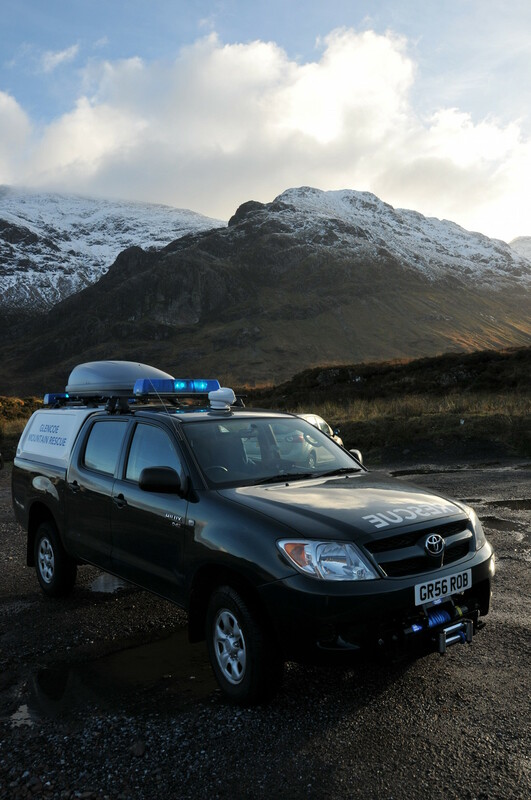 After a period of intense lobbying, by northern rescue teams and our police force, the Scottish government grant a total of £300,000 per year to be shared by all the local mountain rescue teams in Scotland. About £18,000 of this comes to us. The public funding covers about one third of annual expenditure, with the vital remainder coming from public donations. Q: What are the weather conditions like today and which is the best route of decent from…..? A: We never proffer advice or give warnings. 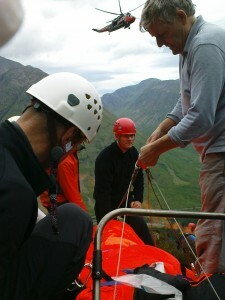 Glencoe rescue is a rescue organisation and has no remit for mountain safety. Please do not ask. Q: How many incidents do you handle each year? Q: Should climbers and walkers be made to pay towards the cost of their rescue? A: No. A simple cost/benefit analysis shows mountaineering generating a massive tax take through v.a.t and fuel duty as well as millions of pounds spent within the local economy. Set against this the cost is very small. Hill goers tend to be fit and do not put high demands on the health service. Those we help usually financially help us. 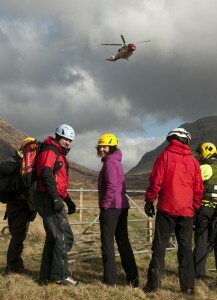 Q: Is it only mountain rescue you are involved with? A: We are called to many non mountain incidents including, cave, river, open water, low level search, industrial accidents, air crashes and the occasional road accident. In fact anything that the other services have difficulty reaching. To enable us to respond to these tasks we have a rescue boat, diving equipment and all terrain vehicles etc. Q: We are organising a charity fund raising event in your area. Will you provide safety cover? Q: I understand you do not get paid – why do you do it? A: Our thirty members would probably give you thirty different answers. I have been doing it for so long it has become a habit which I treat like another job. A: I very much hope that unpaid volunteers continue to provide this service. We are very good at it and are not hampered by `over the top ‘ health and safety rules. Lochaber mountain rescue and ourselves are actively campaigning to have a small civil protection helicopter based in Fort William. We believe this is the way forward. 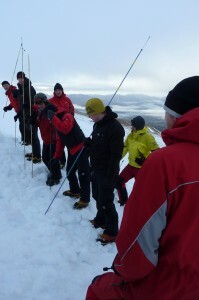 Q: What is the best procedure if we need help on the mountains? Q: Is it better to donate to the Mountain Rescue Committee of Scotland to help all teams rather than give to an Individual rescue team? A: No. The m.r.c.of s has no operational role. To help front line services choose individual teams as recipients. 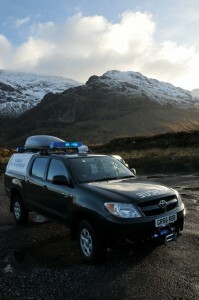 A: Glencoe, The Mamores, Glenetive, Blackmount, Ballachulish and Arnamurchan.